Representative George Holding of North Carolina recently introduced legislation (HR 2568) entitled “The Fair Medical Audits Act of 2015.” This legislation reflects several MSSNY-supported provisions and addresses many concerns that physicians have with regard to the extraordinary lack of transparency and expensive, time-consuming and often unfair processes that plague the current Medicare audit program. Currently, Medicare pays recovery audit contractors or “RACs” on a contingency basis to find overpayments to health care providers, providing these contractors with undue monetary incentives to audit doctors. The five regional firms contracted by the government are paid up to 12.5 percent of all claims they successfully identify as invalid. The burden this places on physicians from both a resource, financial liability and record-keeping standpoint is significant, as the RAC auditors can go back as far as three years. This legislation would establish incentives for RACs to make more accurate audit findings and increase educational efforts to help physicians avoid common mistakes. Since 2006, MSSNY has worked closely with the Physicians Advocacy Institute to advocate for more fair and transparent medical audits. It is time to address fundamental problems that have contributed to the backlog of audit appeals and caused a great deal of unnecessary expense and confusion for physicians in New York. We commend Congressman Holding for his leadership on this critically important issue. Rep. Holding is a member of the House Ways and Means Subcommittee on Health, which has jurisdiction to consider legislation to reform the RAC program. MSSNY has contacted each of the members of New York’s Congressional delegation to urge them to co-sponsor this important legislation, and we urge you contact your local Representative as well. All physicians must contact their respective Assemblymembers to urge that they oppose legislation (A.285, Weinstein/S.911, Libous) that would drastically increase medical liability premiums by changing the medical liability Statute of limitations to a “Date of Discovery” rule. The bill will be considered by the Assembly Codes Committee at its Tuesday, June 2 meeting. The letter can be sent here: http://cqrcengage.com/mssny/app/write-a-letter?1&engagementId=105729. Physicians are also encouraged to contact individual members of the NYS Assembly Codes Committee to express their opposition to this one-sided disastrous legislation. A list of the members with links to their contact information is provided here: http://assembly.state.ny.us/comm/?sec=mem&id=7. As New York physicians continue to pay liability premiums that are among the very highest in the country and face reduced payments from Medicare and commercial insurers, as well as rapidly increasing overhead costs to remain in practice, no liability increases can be tolerated. Earlier this week, by a vote of 92-52, the NYS Assembly passed Assemblyman Gottfried’s Single Payer bill (A.5062/S.3525). Click on the here to see how your Assembly representative voted on the bill. PLEASE CONTACT YOUR ELECTED REPRESENTATIVES. MSSNY, working closely with several state and national specialty societies including the NYS Society of Anesthesiology and the NYS Society of Dermatology and Dermatologic Surgery, is aggressively pursuing legislation (S.4651-A, Griffo/A.7129-A, Stirpe) to assure that health care professionals are appropriately identified in their one-on-one interaction with patients and in their advertisements to the public. Importantly, this bill will require that advertisements for services to be provided by health care practitioners identify the type of professional license held by the health care professional. In addition, this measure would require all advertisements to be free from any and all deceptive or misleading information. Ambiguous provider nomenclature, related advertisements and marketing, and the myriad of individuals one encounters in each point of service exacerbate patient uncertainty. Further, patient autonomy and decision-making are jeopardized by uncertainty and misunderstanding in the health care patient-provider relationship. Importantly, this measure would also require health care practitioners to wear an identification name tag during patient encounters that includes the type of license held by the practitioner. The bill would also require the health care practitioner outside of a general hospital to display a document in his or her office that clearly identifies the type of license that the practitioner holds. Legislation that would require physicians to take three hours of continuing education on pain management, palliative care, and addiction is now on the floor of both houses in the New York State Legislature and can be voted on at any time. Senate Bill 4348 passed out of the Senate Health Committee and has gone to the Senate floor. Its companion measure, Assembly Bill 355, is also pending on the Assembly floor. Immediate physician action is needed to stop this measure from passing. Physicians are urged to send a letter urging defeat of this measure. Assembly Bill 791B and Senate Bill 4324, sponsored by Assemblywoman Aileen Gunther and Senator Kemp Hannon, were advanced from the Assembly and Senate Health committees this week. Assembly Bill 791B will now go the Assembly Codes Committee and Senate Bill 4324 will go to the Senate floor for a vote. The Medical Society of the State of New York has been working with a number of provider and patient advocacy organizations in support of this legislation and is urging physicians and their patients to advocate in support of legislation requiring school-based immunizations against the meningococcal disease. Assembly Bill 791B/Senate Bill 4324 would require that every person entering seventh grade and 11th grade shall have been immunized against meningococcal disease. Physicians are encouraged to go to MSSNY’s Grassroots Action Center to send a letter to their legislators and urge support of this bill. MSSNY has also developed a patient support letter that patients can use to urge support of this legislation. Provide an overview of what capabilities will be available for healthcare providers this year and what they may already be able to access. 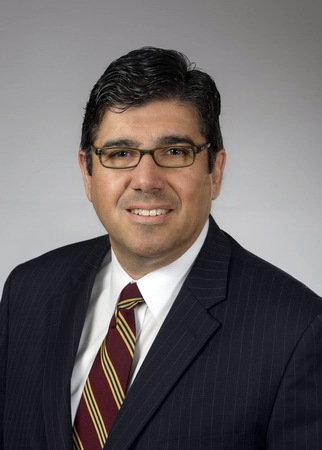 The Medical Society’s final webinar for the spring will be conducted on June 9, 2015 at 7:30 a.m. William Valenti, MD, chair of MSSNY Infectious Disease Committee will present “Emerging Infections 2015-A look at EV-D68 and Chikungunya”. Physicians are encouraged to register by clicking on https://mssny.webex.com . Click on “Training Center” and then on the “Upcoming” tab to register. Physicians may also contact Melissa Hoffman at mhoffman@mssny.org or at 518-465-8085 to register. The Medical Society of the State of New York designates this live activity for a maximum of 1.0 AMA/PRA Category 1 credit™. Physicians should claim only the credit commensurate with the extent of their participation in the activity. Step Therapy or Fail Therapy? Controversy is heating up over a state bill to limit step therapy, the insurance process that requires patients to try less expensive drugs to treat their conditions before their plans will cover more expensive ones recommended by their doctors. The bill (S.2711-A /A.5214-A) would increase pharmaceutical costs while exposing patients to less proven treatments, said the New York Health Plan Association in a statement Thursday. But Dr. Joseph Maldonado, president of Medical Society of the State of New York, said the measure may cut hospital costs incurred when patients are treated with the wrong medication. “There are many instances in which step therapy is very appropriate, but there are instances when this is the medication the patient needs, and they shouldn’t have to jump through unnecessary hoops to get it,” said Dr. Maldonado, who spoke at an Albany press event yesterday hosted by supporters of the legislation. HANYS Offers Ready. Set. Code! ICD-10-CM by Specialty. This series of coding workshops helps physician practices understand the structure of the International Classification of Disease, Tenth Revision, Clinical Modification (ICD-10-CM) and successfully assign diagnosis codes for their specialty. These two-hour workshops are being held from 1 to 3 p.m. on multiple dates, and are led by American Health Information Management Association certified ICD-10 trainers. The registration fee for each workshop is $150. Ready. Set. Code! ICD-10-CM by Specialty has been approved for two American Academy of Professional Coders continuing education units (CEUs) and is eligible for two American Health Information Management Association CEUs. If the deal goes through this summer as projected, CWPW will continue to refer to Maria Fareri Children’s Hospital at Westchester Medical Center and NYMC, where its staff has academic faculty appointments. Boston Children’s affiliate is Harvard Medical School, which does not allow faculty appointments outside Massachusetts. A federal appeals court has rejected a drug manufacturer’s appeal and affirmed a judge’s order that Actavis PLC keep distributing its widely used Alzheimer’s medication until after its patent expires this summer. New York Attorney General Eric Schneiderman, who sought the order, calls the Court of Appeals ruling a victory for consumers. His office says the drug Namenda should remain on shelves 30 days after the patent expires July 11. He alleged anti-trust and state law violations by Actavis in an effort to push patients to its new patented drug and avoid losses from cheaper generics. Dublin-based Actavis says its new drug Namenda XR—taken once daily instead of twice—is better and demand is growing. Too few women at high risk for osteoporosis are being tested for the bone-depleting condition, while too many women at low-risk are being screened, a new study suggests. However, the study also found that those risk factors — a small body frame, a history of fractures, or taking medications that could thin bones — had only a slight effect on a woman’s decision to get her bones tested. Over seven years, more than 42 percent of eligible women aged 65 to 74 were not screened, Amarath’s team found, nor were nearly 57 percent of those older than 75. “DXA screening was underused in women at increased fracture risk, including women aged 65 years and older. Meanwhile, it was common among women at low fracture risk, such as younger women without osteoporosis risk factors,” Amarnath said in a journal news release. “Health systems should invest in developing electronic health records systems that prompt providers at the point-of-care when screening is needed and when it can be postponed,” study senior author Joshua Fenton, an associate professor of family and community medicine at UC Davis, said in the news release. Physicians take an oath to uphold ethical standards, but rapid changes in the health care system may have begun to blur lines across the practice of medicine. What measures should physicians be held accountable to, and who should regulate the profession? The May 12 issue of JAMA takes a deep dive into professionalism, including viewpoints from scholars and academic leaders about the responsibility and accountability of medicine to self-govern, self-regulate and ensure the highest degree of professionalism. Prominent physicians among the authors include AMA Executive Vice President and CEO James L. Madara, MD; Ezekiel J. Emanuel, MD, vice provost for global initiatives and chair of the department of medical ethics and health policy at the University of Pennsylvania; Thomas J. Nasca, MD, CEO of the Accreditation Council for Graduate Medical Education; and Lois Margaret Nora, MD, president and CEO of the American Board of Medical Specialties. The issue examines the key roles and responsibilities of modern governing and accrediting bodies and of professional organizations and societies. Find out what these entities are doing—and what they should do differently—to enhance self-governance, safeguard self-regulation and foster professionalism. On a related note, this month’s issue of the AMA Journal of Ethics tackles this topic. The issue examines where professional boundaries start and stop, and how far physicians may go to assist patients with nonclinical matters. Learn about key areas where establishing boundaries with patients may be challenging and issues outside the patient-physician relationship where boundaries are essential.